NewWave and its channel partners deliver seamlessly integrated products and solutions that capture, store, manage and distribute business-critical information. NewWave Technologies markets its products and programs exclusively to VARs, systems integrators, service bureaus, and OEMs. NewWave's exclusive Epson CapturePro Rewards Club! 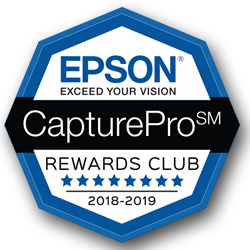 Epson's CapturePro Rewards Club is a sales performance incentive for owners or approved senior executives of our reseller partners. The CapturePro Rewards Club provides quarterly incentives and an all-expense paid trip for top performers plus their guests. *Terms and conditions apply. YOU COULD WIN A TRIP TO ITALY*! The sales representative with the MOST SCANNERS SOLD will WIN A TRIP TO ITALY*! The Grand Prize Trip to Italy is Valued at $7,000! E-Series Buy 2 Full Drawers Get The 3rd FREE! Registration is officially open for our next Virtual Partner Conference (VPC), taking place on February 21 at 2 pm CT /3 pm ET. FileBound University is refreshed, rebooted, and ready for registration – plus courses are online and super convenient. Deluxe Exchange brings together leading industry experts and treasury management and retail executives responsible for market growth. New DS-970 and DS-870 Fast, Reliable and Robust Scanners for Environments Where Speed and Dependability are Paramount. Nexsan's high density storage platform significantly reduces power consumption and increases storage capacity. FS Partners teams up with Alaris to deliver hardware, software and services to USCIS Service Centers. 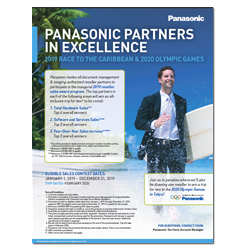 The award comes on the heels of Panasonic's recent BLI 2018 Summer and Winter Scanner Pick Awards. Fujitsu Computer Products of America, is pleased to announce our partnership with P3iD Technologies, a developer and integrator of highly secure document & data platforms for capture, extraction and storage. NewWave Technologies and the NewWave logo are trademarks of NewWave Technologies, Inc. All other trademarks are the property of their respective owners. © 2018 NewWave Technologies, Inc. All rights reserved.